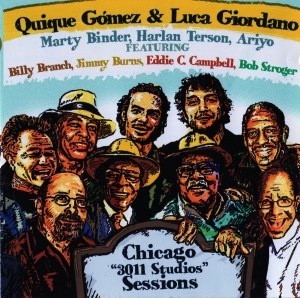 After several years of collaborations and tours around the world toghether, also backing up many Chicago Blues Legends in United States and Europe, ace Italian guitarist Luca Giordano and outstanding Spanish charismatic harp player and singer Quique Gomez present their recorded tribute to classic Chicago blues, Chicago 3011 Studios Sessions. The album was recorded on 2011 in the Windy City and produced by GG Records late last year.The two Europeans, who met each other for the first time in Chicago, share a common passion for “old school” electric blues and the genre’s many past and present masters. 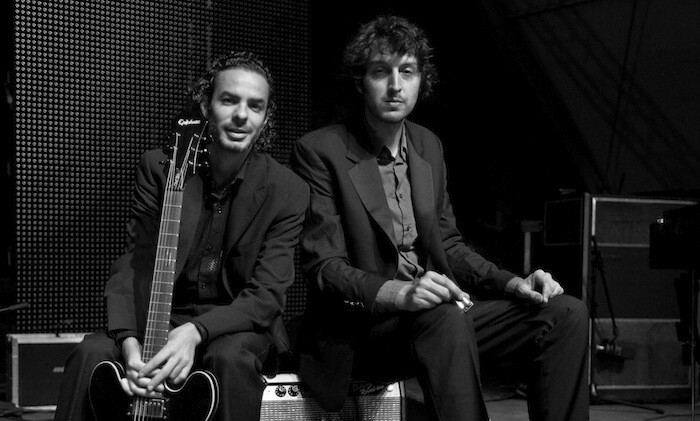 As versatile musicians fond of performing in various musical styles, both Giordano and Gomez front their own bands and projects. But together onstage or in the studio, their deep and genuine passion for Chicago Blues roars to the fore.Chicago 3011 Studios Sessions is a 12-song CD, consisting of six originals played by the core band and six freshened-up classics with guests varying from track to track plus a bonus track with all the special guests together. After touring with these two young bluesmen all around Europe, backed up by their excellent band, several Chicago blues “living legends” were happy to support their friends Giordano and Gomez on the session. Bob Stroger appears on “Bad Boy,” Jimmy Burns contributes to “That’s Life,” Billy Branch plays on “Rocket 88” and not least Eddie C. Campbell turns up on “Eddie’s Shuffle.” The two Europeans lovingly dedicated the album to Mr. Campbell..Of course, the Chicago blues elders made visitors Giordano and Gomez feel and sound right at home, that is, Home Sweet Chicago.